Why the buzz about barley grass? There’s been a great deal of buzz about barley grass of late – the salutary supergreen extract made from the leaf of the barley plant and features heavily in celebrity nutritionist Gillian McKeith’s book, “Living Food for Health: 12 Natural Super-foods to Transform Your Health”. So, what is it about barley grass that’s turning heads and grabbing our nation’s collective attention? Time to find out more about barley grass powder, how it differs from that other superfood superstar of the moment, wheatgrass powder, and what exactly it can do for you! Barley grass powder laid bare – what exactly is barley grass powder? Barley grass powder is a nutrient-dense superfood extract made from the fresh, young shoots of the barley plant (Hordeum vulgare) – a one-to two-year cereal belonging to the grass family, which thrives in temperate subtropical climates and, as one of the first grains ever cultivated, has been a valuable source of food since prehistoric times. It is also, incidentally, a distant relative of the ancient barley that still grows wild in the Middle East. Barley grain was once widely consumed by peasants in Medieval Europe and today remains a staple in Tibetan cuisine, whilst germinated barley (which is also known as malt), is an integral ingredient in beer and whiskey. Vitamins – barley grass powder contains vitamin C (in fact it contains seven times more vitamin C than orange juice) and is an excellent source of B vitamins, including vitamin B1 and B12. Minerals – barley grass powder boasts an impressive array of minerals, including magnesium, calcium (barley grass powder contains a whopping 11 times more calcium than milk), iron and potassium. Fibre – indeed, the fibre in barley grass powder is thought to lower cholesterol and blood pressure and can help to reduce blood sugar and insulin levels. Protein – barley grass powder consists of up to 45 percent protein (the ‘building block of life’), which according to respected UK nutritionist, Gillian McKeith, is more than a sirloin steak! Phytochemicals – barley grass powder also contains a unique group of nutrients known as phytochemicals. Although not considered essential nutrients, phytochemicals are nonetheless highly beneficial for your health. The phytochemicals in barley grass powder include chlorophyll, the natural alkaliser that gives the powder its green colour, and carotenoids, which have an antioxidant effect and may prove useful in treating and preventing cancer and other chronic diseases. Barley grass powder is thus an incredibly powerful superfood supplement that’s officially classified as a ‘supergreen’ – a sub category of superfoods that includes a variety of grasses, grains and vegetables, such as kale, chard, arugula (AKA rocket) and broccoli, and are instantly recognisable by their trademark green colour and potent flavour. 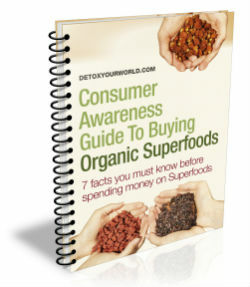 Yet whilst leafy green vegetables, such as spinach, may also contain many of the same nutrients as barley grass powder, none of them do so in such a concentrated package, which is why a little barley grass powder goes such an incredibly long way and why barley grass powder has become such a popular superfood supplement in recent years. Barley grass powder versus wheatgrass powder – what’s the difference? Wheat and barley grass powders are both exceptionally nutrient-dense supergreens packed with proteins and brimming with digestive enzymes that makes either choice a powerful aid to detox and a particularly effective tool in boosting immunity, delaying the unwanted signs of aging (such as fine lines and wrinkles), and promoting natural and sustainable weight loss. Many, however, claim that barley grass powder, which contains almost no gluten and is extremely alkaline, is far easier to digest than wheatgrass powder. It also contains an exceptionally high amount of organic sodium, which actively dissolves calcium in the joints and makes barley grass powder the preferred superfood for those seeking to relieve the symptoms of arthritis. Barley grass powder or barley grass juice – what to choose? 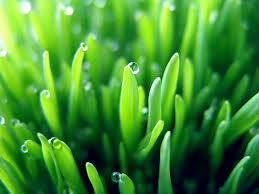 Barely grass can also be enjoyed in a juice form, which offers exactly the same health benefits as barley grass powder. Barley grass powder is arguably more versatile however – for as well as being an ideal ingredient in smoothies, shakes and juices, it can also be used to enhance your favourite rawfood recipes and snacks. Currently there’s no cure for FMS, however, making small lifestyle changes, such as taking regular exercise and supplementing your diet with superfoods that are known to relieve the symptoms of Fibromyalgia, including organic barley grass powder, can help you successfully manage your condition. Indeed, a 2001 study published in BMC Complementary and Alternative Medicine, revealed that a vegetarian diet consisting of fruit, salads, carrot juice, tubers, grain products, nuts, seeds, and dehydrated barley grass juice (or barley grass powder) could benefit people suffering from fibromyalgia. The scientists found that those following the above diet for two months, experienced reduced symptoms, less pain, and improved flexibility. A more recent study published in the Journal of Chiropractic Medicine in 2008, suggests that a diet rich in barley grass powder may help to reduce cholesterol levels. According to the British Heart Foundation more than 50 percent of us now suffer from raised cholesterol levels. The first step in reducing your cholesterol levels is maintaining a healthy, balanced diet that is low in saturated fat and rich in fruit, vegetables, wholegrain cereals and superfoods, such as barley grass powder. In the aforementioned study, those supplementing their diet with barley grass powder showed significant reductions in total and LDL (“bad”) cholesterol after just 21 days. In her popular book, “Living Food for Health: 12 Natural Super-foods to Transform Your Health”, Gillian McKeith reveals that barley grass powder contains five times more iron than spinach. In fact barley grass powder contains 10 mg of iron per every 100 grams and just one teaspoon supplies 33% of your recommended daily allowance – if only Popeye had known! Iron is an essential mineral that helps to manufacture DNA and make the haemoglobin in your blood that in turn carries oxygen around your body. A lack of iron can lead to a reduction in the number of red blood cells and ultimately trigger a condition known as anaemia, which results in tiredness and lethargy, shortness of breath, heart palpitations and a visibly pale complexion. Left untreated, anaemia can leave you with an increased susceptibility to illness and infection, and may even heighten your risk of developing complications that can affect your heart or lungs, such as tachycardia (an abnormally fast heartbeat) and heart failure. You can dramatically boost your iron intake by consuming plenty of dark-green leafy vegetables, nuts and seeds, dried fruits, such as organic dried apricots and organic raisins, and of course, organic barley grass powder. Organic barley grass powder to go! Organic barley grass powder is an extremely flexible kitchen ingredient that can be stirred directly into smoothies, shakes, juices and protein drinks for a quick blast of nutrients on the go. Alternatively you can use your barley grass powder to a lend a rich flavour and beautiful green hue to all of your favourite rawfood recipes and snacks. And don’t forget that a little really does go a long way so only a small quantity is required for demonstrable results! ← Raw chocolate – a recipe for sweet dreams?